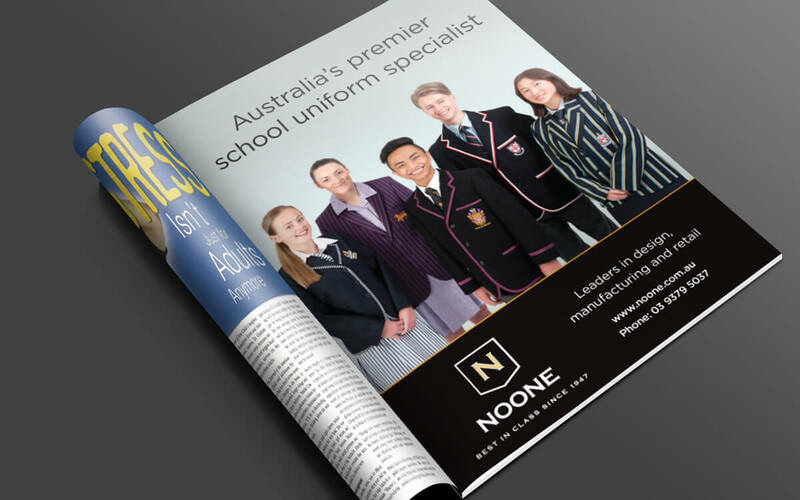 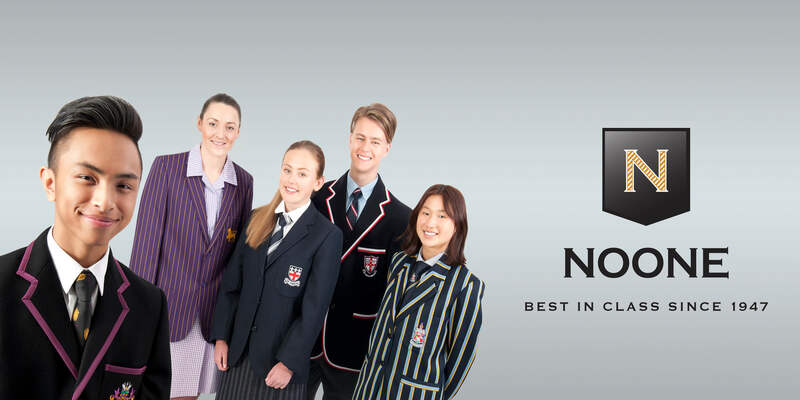 Noone is one of the premier suppliers of School Uniforms in Victoria, servicing many of the finest schools. 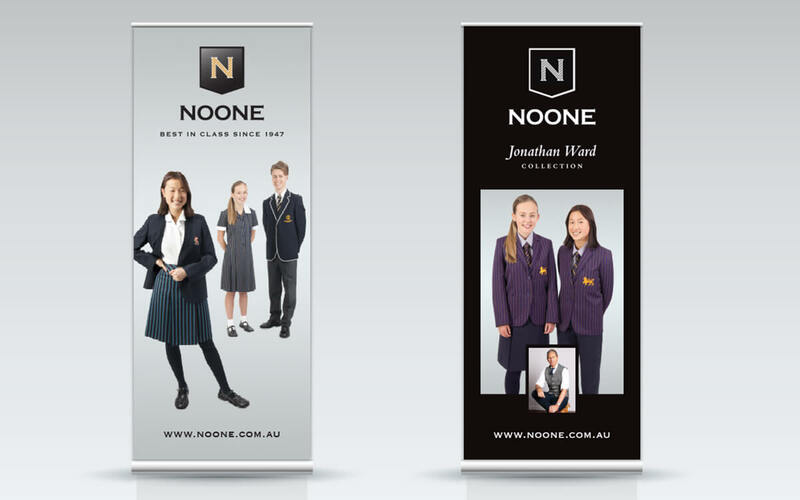 Under increasing pressure from interstate and new competitors, we helped Noone to undertake a brand refresh, to reposition the brand design among existing customers, and provide a platform for growth into new markets. 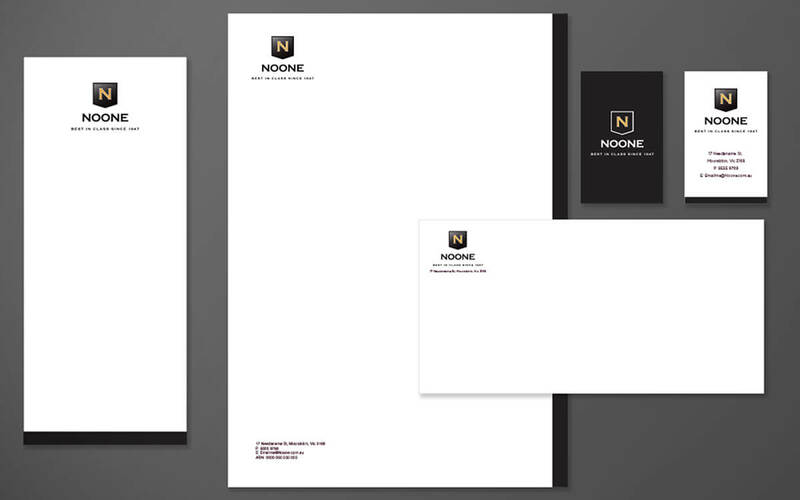 We went through a process presenting a new logo design as part of the identity rollout. 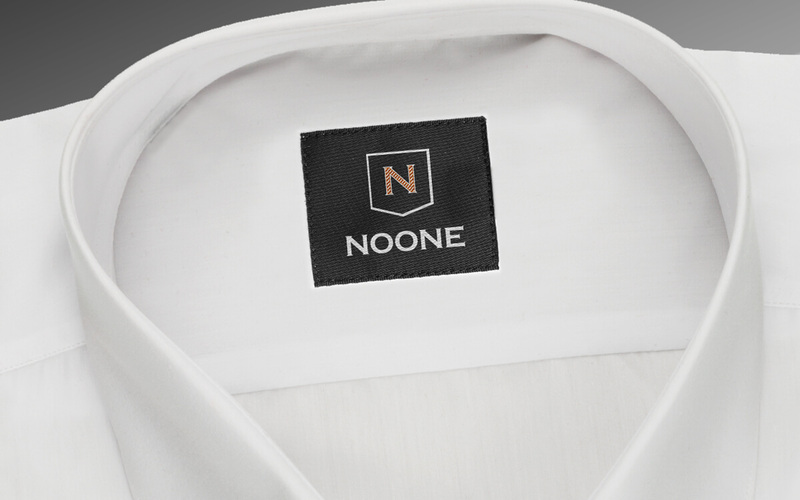 Borrowing from a traditional blazer pocket and modern colour palette, the new brand identity perfectly positions Noone as established and high quality,with a modern twist. 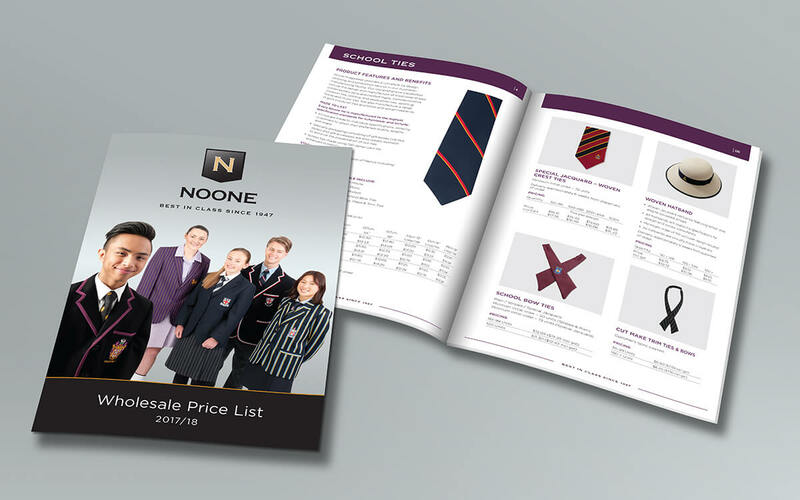 Project Scope: Art Direction, Brand Design, Image Retouching, Logo Design, Photography, Print Advertising.